Having been a big fan of heritage and colonial buildings, I turned myself into a frequent visitor to Old Malaya – located at Jalan Raja Chulan, right after my first time here. The nearly 100-year-old building was skillfully revitalized into gorgeous heritage-modeled dining spots, making it one of the prominent culinary hub for foodies in KL. 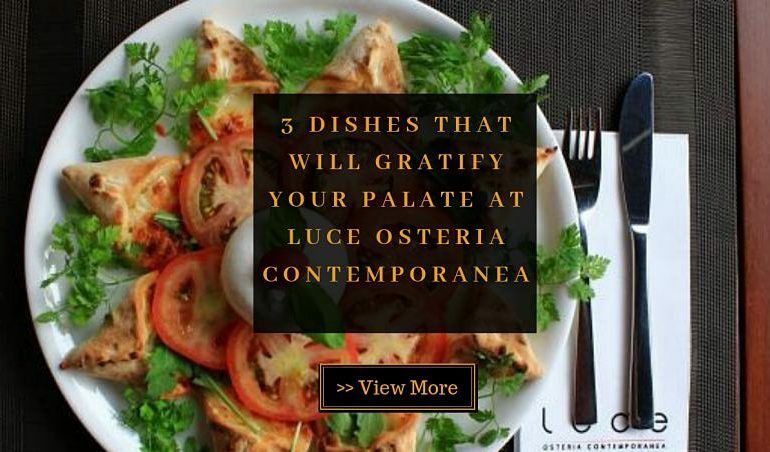 Luce Osteria Contemporanea is one of the restaurants here that won my heart! What’s better than sipping a glass of cocktail, taking in the majestic beauty of KL tower while savoring classic Italian dishes? Of course, there are dishes here that you should not miss out and I’m willing to share with you in this post! The first dish that you definitely should not forgo is this II Gran Tagliere which is a selection of premium cold cuts with cheeses, sun dried tomatoes, artichokes and caper berries! 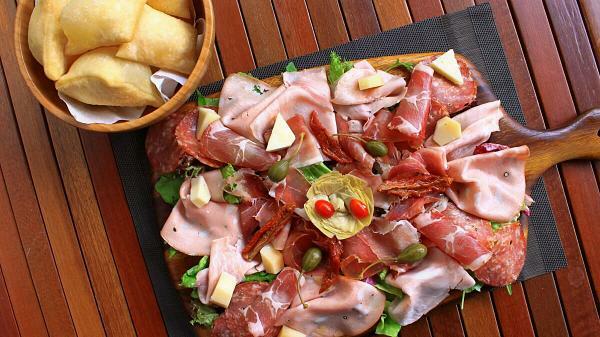 Featuring imported cold cuts cured for at least 6 to 18 months such as Parma Ham (18 months), Mortadella, Coppa, Salame Napoli, Smoked Peck and Italian Honey Ham, the dish totally satiated my taste buds. I was also impressed to know the cheeses here are specifically curated and imported from different regions of Italy. A delectable delight! The next dish – Sole Pizza, has such an eye-catching presentation that you might not be able to take your eyes off it! 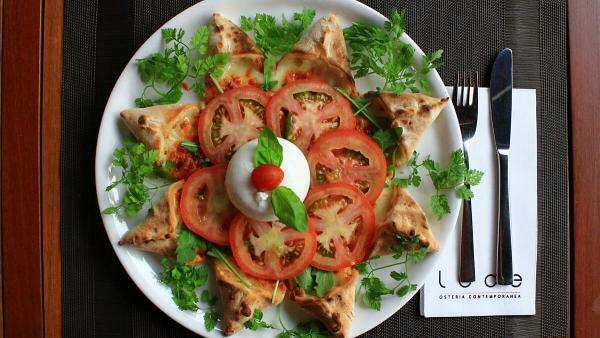 This interesting pizza is also known as the Sun Pizza because of its sun-like shape. Topped with Mozzarella cheese, tomatoes sauce, rocket salad, sliced tomatoes and baked using imported Italian wood-fired oven, the pizza had unique and smoky flavors which were out-standing! The Burrata Pugliese on top was a fresh light Italian cheese which really mingled well with the pizza for its an unusually soft texture. 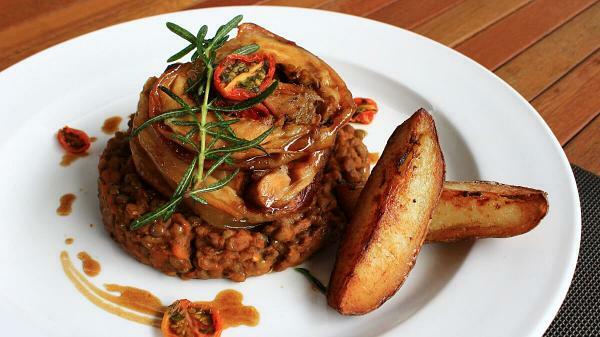 The final dish, as well as my top favorite dish, is this La Porchetta! Using high-quality suckling pig to debone and stuff with pork sausage, Mortadella, capsicums, artichokes and Mozzarella cheese, this traditional Italian dish had a moist texture and packed with flavors. The beef stew cooked with Parma Ham was served along to further accentuate the taste of the dish, making it a hard-to-resist delicacy! TABLEAPP ELITE Members can redeem these 3 signature dishes for free. Find out more information here!